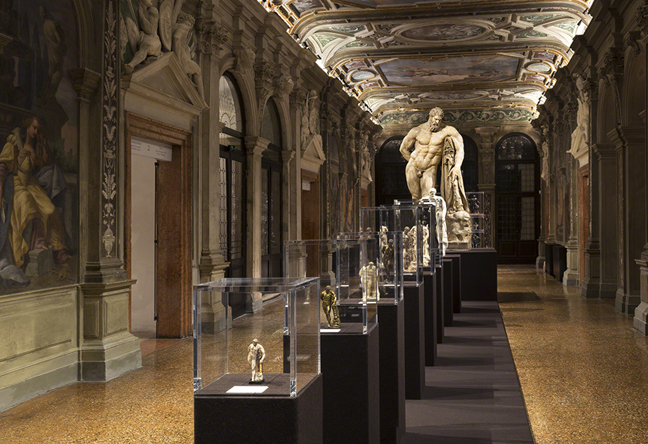 Exhibition ‘Portable Classic’, co-curated by Salvatore Settis and Davide Gasparotto, explores the origins and functions of miniature reproductions of classical sculptures, showcasing more than 80 artworks on the ground and first floor at Ca’ Corner della Regina. Both in ancient Rome and modern Europe a true ‘canon’ of sculptures was created, considered as an undisputed peak of excellence of a given subject. Their prestige was so high that, since it was almost impossible to acquire the originals, their reproductions, even on a small scale, were eagerly sought for by well-read audiences. An example of this is the ‘Farnese Hercules’, displayed in a 317 cm high plaster cast exhibited next to a series of modern smaller-scale reproductions in marble, bronze and terracotta, measuring 15 to 130 cm. Some classical small-scale masterpieces are presented along with Renaissance multiples, through the examples of the ‘Marsyas’ (‘Ignudo della paura’) and the ‘Crouching Venus’. 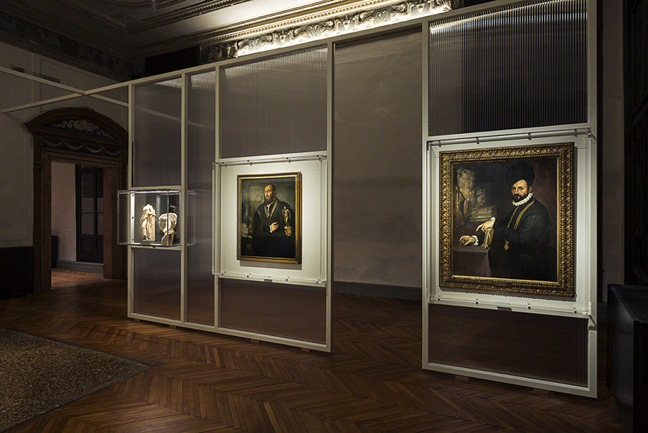 Another section of the exhibition is devoted to important art collectors from the 1500’s. 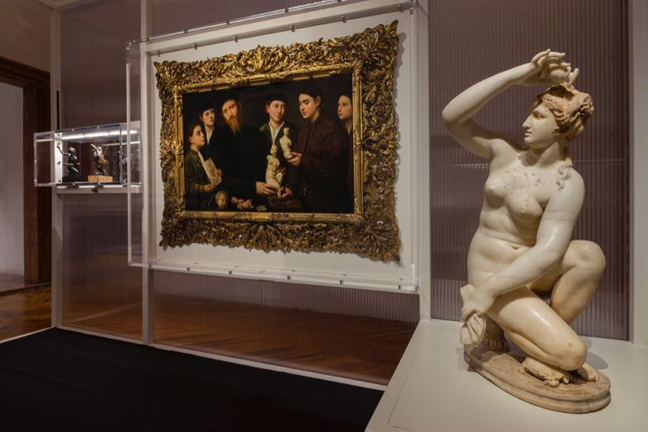 In a selection of paintings by Lorenzo Lotto, Tintoretto and Bernardino Licinio, the subjects are portrayed among classical sculptures and plaster casts from their personal collections. Starting from the emblematic cases of the ‘Belvedere Torso’ and the ‘Laocoön’, the exhibition illustrates how Renaissance artists employed small-scale copies to elaborate hypotheses on the missing portions of the classical originals.